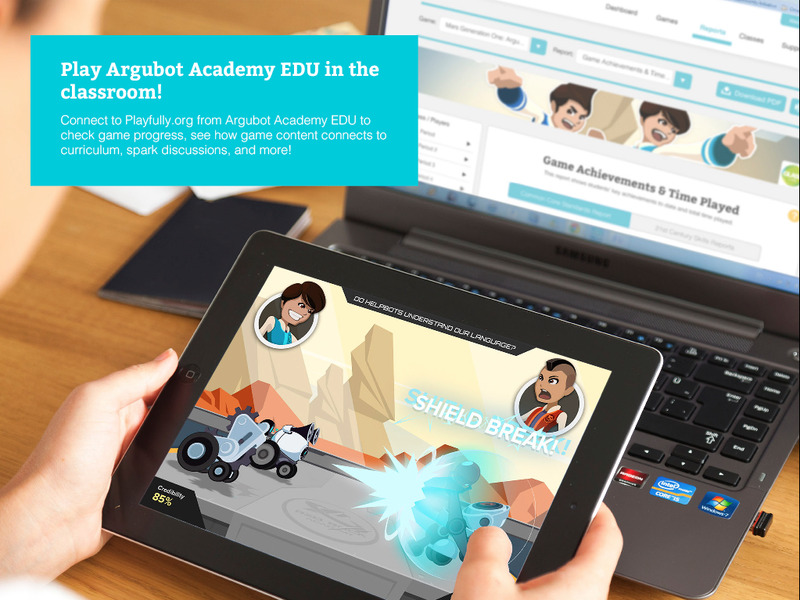 GlassLab has just released a report containing key findings from a field study of Mars Generation One: Argubot Academy, an argumentation Serious Game developed by GlassLab Games in collaboration with Educational Testing Service (ETS) and Pearson, with support from the National Writing Project and NASA. 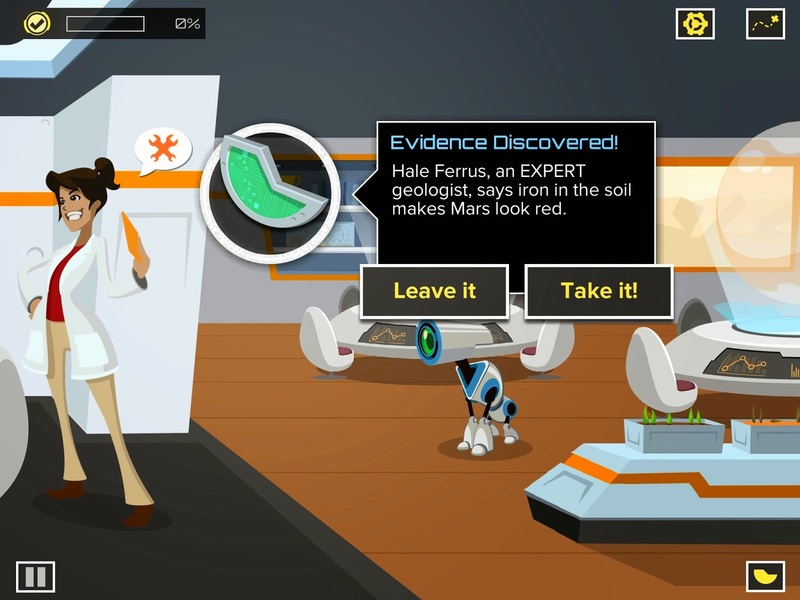 Mars Generation One (MGO] teaches and assesses students’ argumentation skills through an adventure-based educational game for the iPad. 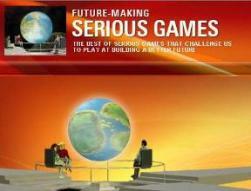 In the game, players—typically middle school students—find themselves in a settlement on Mars where disputes are resolved through formal arguments. To succeed, players must search for evidence that can support the claims they are trying to make. They also must critique others' arguments, determining whether the evidence presented supports the claim effectively. Players advance by winning argument "duels" against opponents. 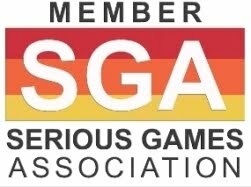 Over the course of a complete 90-minute cycle of game play, players might engage in eight or more such duels and be asked to critique 20 claim-evidence pairings. GlassLab Games recruited twelve middle school teachers from across the country to implement the Mars Generation One game and curriculum in their classrooms in the fall of 2014. Over 500 (n=589) students in grades 5-8 took part and represented a range of socioeconomic backgrounds. Before starting the MGO experience, all students completed a short pre-test to assess their argumentation skills. 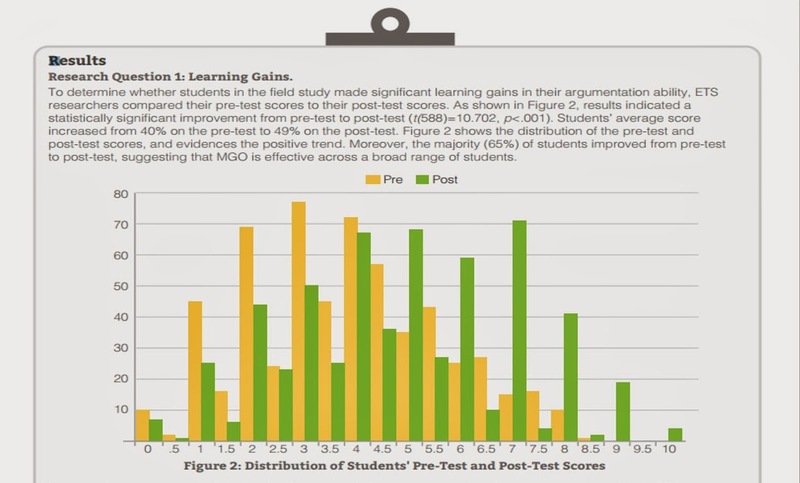 This test, as well as the post-test that students completed following the MGO experience, was created by ETS to evaluate the key aspects of argumentation targeted in MGO. Teachers in the field study implemented the condensed 5-day MGO experience that combines two lesson plans with five game-play sessions. The field study results are impressive: students who play Mars Generation One for three hours with two hours of instruction can make as much as one whole year of learning gains. Check out the full 2014 report here.